Has he honestly – answered this question yet? 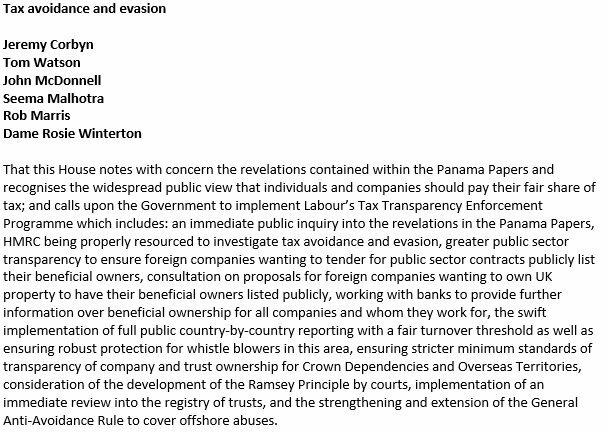 Today (Wednesday) in Parliament we see the first Prime Minister’s Questions since the ‘Panama papers’ scandal started – and Labour will undoubtedly maintain its pressure on ‘Dodgy’ David Cameron. That will be worth following if you like seeing Tories squirm. Camoron the liar will not answer the question no matter what and how the question is asked……PMQ will never generate good debate when he will not answer questions. With regards your blog 6 April – the Tory Party is funded by wealthy donors many of whom are involved in dodgy tax deals, the reason why he and Blair, dragged their feet on addressing the problem. We have never seen the likes of this kind of involvement in issues that affect the “common” people by a truly representative Political Party, led by a leader and his Shadow Ministers really fighting on our behalf. Also noted that never before have so many people started taking an interest in so many issues that have previously just been accepted as unchangeable – a far cry from the parties we have seen in the last twenty years. This is all well and good, and what the Opposition should be doing of course. However, it would give the Leader of the Opposition a little more credibility if he made sure his own tax affairs were in order before “throwing stones in glass houses” at the PM, surely (see this article: http://polho.me/1XuyHdb)? Mr Corbyn made mistakes on his tax form, and they have been identified and fixed. That’s a far cry from the years-long campaign of tax avoidance that we see in the Cameron family finances. You are correct of course when you say Mr Corbyn made mistakes…but these were mistakes of omission, and only corrected when the omissions were drawn to his attention? I’m not saying for one moment that those omissions were deliberate, but Mr Corbyn did not originally include income in his Tax Return which should have been declared (and not once source of income, but two I think, although please forgive me if I have got that wrong)…and as we all know, a lack of knowledge (on whether something should or should not have been included) is no defence in law. I’m only concerned here with the PM’s personal Tax affaris, and of course tax avoidance (unless the Government changes the Law, which I grant you the present is unlikely to do…but then it’s only fair to say that previous Labour administrations have not taken this step either) is still/at present perfectly legal…it’s tax evasion that’s illegal, and I don’t think the PM has been “found guilty” of that has he? If he had, of course, that would be an entirely different matter. As I understand it, and I say straight away I haven’t read every column inch on the subject, the PM has paid the required tax due to HMRC on his off-shore earnings…or have I got that wrong? Like every other UK citizen, there is nothing to stop the PM (like any one of us) organising his financail affairs in the most beneficial/tax efficient way. On a more general note, I would like to say that I do enjoy this website/blog, and the articles that appear on it…very informative. I don’t normally comment on the articles, but occasionally do…as in this instance. It will be good for tories and especially Cameron to try and fool those watching PMQs today. no doubt changing the focus to the people losing privacy will be next. I have news for all tories peoples privacy is a myth. only incompetency of policies being implemented and the resultant confusional state arising from it gives anyone of normal public status any privacy. all claimant, pensioners and others are intrusive. now mps will be subjected to similar. nothing unfair about this although tories are throwing their toys out of the pram to quell the public protests about corrupt tax avoidance strategies MPs dont want disclosed. Questions asked, answers refused, what is the point when the truth is an alien concept to the Tories. Cameron believes that going on an asparagus expedition is the answer. It’s like Alice in Wonderland they have distorted the world view so much. Everybody should be keeping the pressure on Offshore Dave, not just Labour!